A decision by Cadillac that has been long overdue will finally come to fruition as the American luxury car manufacturer will no longer be in the livery market. 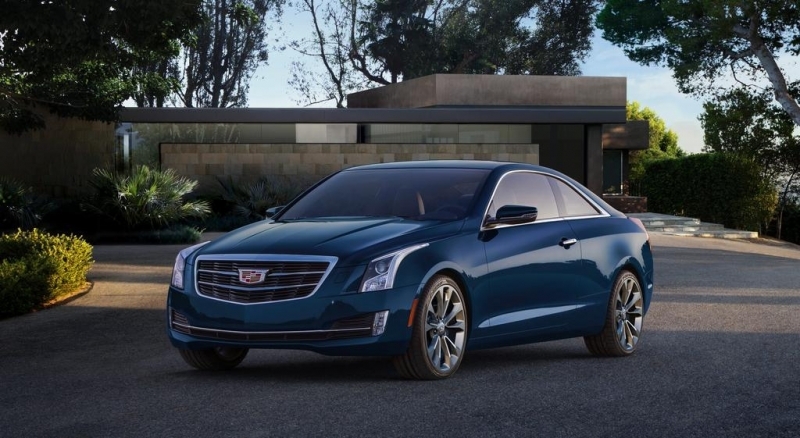 This comes after reports of the XTS’s lifecycle coming to an end, as this car was to attract the traditional Cadillac buyer. With sales still down, even after some exciting changes and announcements of new models, Cadillac needs to and is in the process of changing the perception the brand has had for many years, which is cars that are geared towards the older, affluent American consumer. By getting out of the livery market, this is one step in the right direction. 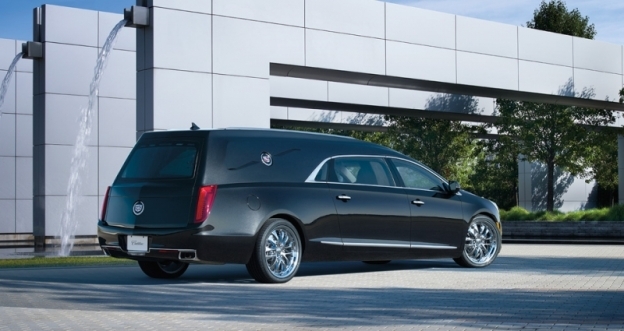 Seeing Cadillac’s in funeral processions gives the brand a bad image, especially in the eyes of the younger generations. How can the American automaker compete with their German rivals when 20 and 30 year olds are more interested and attracted to Audi, BMW, and Mercedes Benz? This has been the problem for Cadillac for many years, and by also being a part of GM and having their name thrown into the fire with all the recalls surely hasn’t helped. Since it doesn’t appear Cadillac is leaving GM anytime soon, now is the right time to take on the problems that they can control, and that’s to change the brand’s image entirely. By exiting the livery market and going full throttle into luxury and performance, the American luxury brand can once again compete against other luxury juggernauts. The new Cadillac ATS-V got a warm reception when it was unveiled, so they need to take advantage and ride the momentum of positive vibes. It’s going to take a while for the changes to take full effect as consumers are not often quick to change perceptions towards brands, but if Cadillac can continue making bold moves and offering quality, luxury, and performance the car buyer wants, we could see a revival in sales. The one real question at the end of the day however, is will consumers have a positive reaction to Cadillac’s desire to sell RWD cars? That’s still a question that’s up for debate as almost every car manufacturer has either focused on front-wheel drive, 4WD, or AWD drivetrains. Surely Cadillac will still offer 4WD/AWD, but they’re creating a small hurdle for themselves if they do intend on moving forward with plans to manufacture RWD cars, since the average consumer has been fully exposed to AWD capabilities by most auto brands. What Are Your Thoughts On Cadillac and BMW? 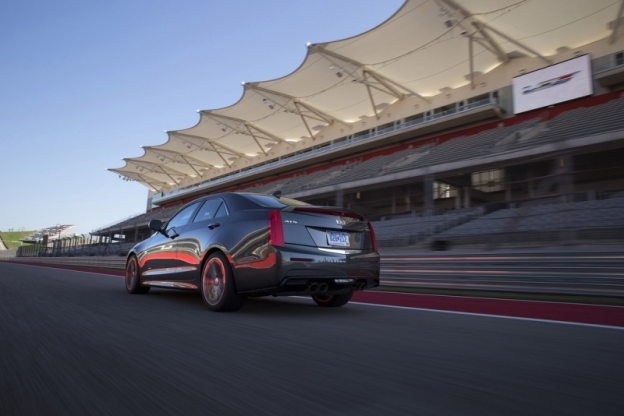 Over the past few weeks Cadillac has become very bold, and rightfully so, with the unveiling of their new ATS-V Coupe. This has lead to a lot of banter on the Internet, with some going as far to say that BMW should be looking in their rearview mirror because Cadillac is catching up with the German luxury car manufacturer. The BMW faithful are defending their favorite cars, while fans of the new Cadillacs are beginning to believe GM’s luxury branch has finally made a comeback in the luxury car market. What do you think? Is Cadillac inching closer behind BMW, or should the people in Munich just laugh at Cadillac’s show of force? 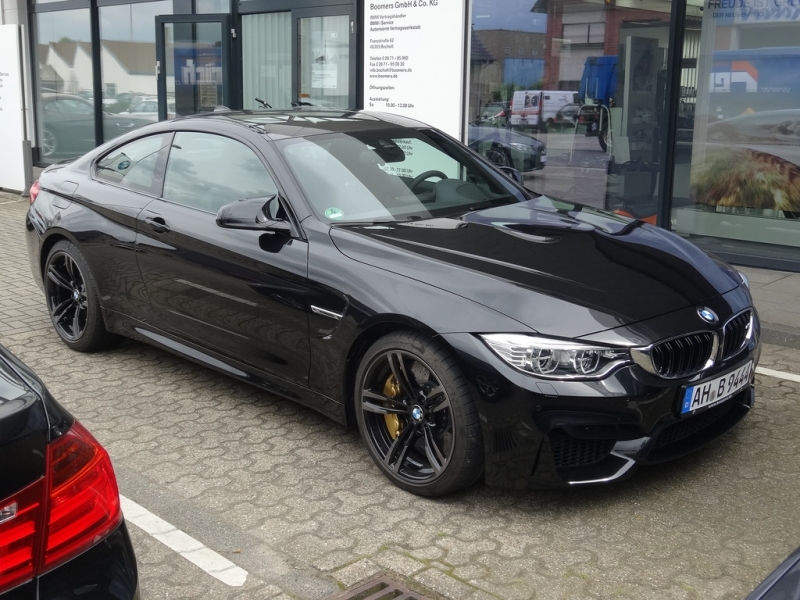 The BMW product line has certainly been extended the past few years, and with the BMW M4, and the highly anticipated four-door BMW 435i Gran Coupe, it doesn’t look like they’re going to give up ground easily. While Cadillac’s newer designs and breath of fresh air is encouraging, can they compete with a luxury brand that seems to be sticking their nose into every market in the automotive world? BMW continues to push their SUV and crossover models, the new 2 series is sure to be a hit with the younger generations, and their 3 and 5 series sedans are still experiencing strong sales figures this year. What are your thoughts on Cadillac and or BMW? Is Cadillac ready to take the stage? Or do you not like both and prefer an Audi, Mercedes Benz, or maybe even Volvo due to what they’ve been doing lately. The great thing about the automotive world is that it’s constantly evolving. What might be exciting and popular today, might be old news by tomorrow. Right now BMW is still riding on their popularity over the past decade, while Cadillac is trying to revitalize their sluggish sales figures and create a buzz for their cars that hasn’t been seen in years. Author Mike CerraPosted on December 2, 2014 December 2, 2014 Categories BMW, CadillacTags ATS-V Coupe, Automotive World, BMW, BMW 4 Series, BMW M4, Cadillac, Cars, Sedans, Sports CarsLeave a comment on What Are Your Thoughts On Cadillac and BMW? The national average for gas is below $3.00 a gallon which has affected different markets in the automotive segment of the economy. Electric and hybrid cars have seen lower sales figures since the recent nose-dive oil has taken the past few months. However, with these lower gas prices, sales figures for large SUV’s still hasn’t improved, and just as the sports car market, the bigger SUV market may never recover. Ian Robertson, a Sales Chief for BMW said recently that the age of the sports car is coming to a close and that we’ll probably never see that market recover. While he only mentioned two-door coupes, it appears that the recession has also put another segment of the auto industry on life support. 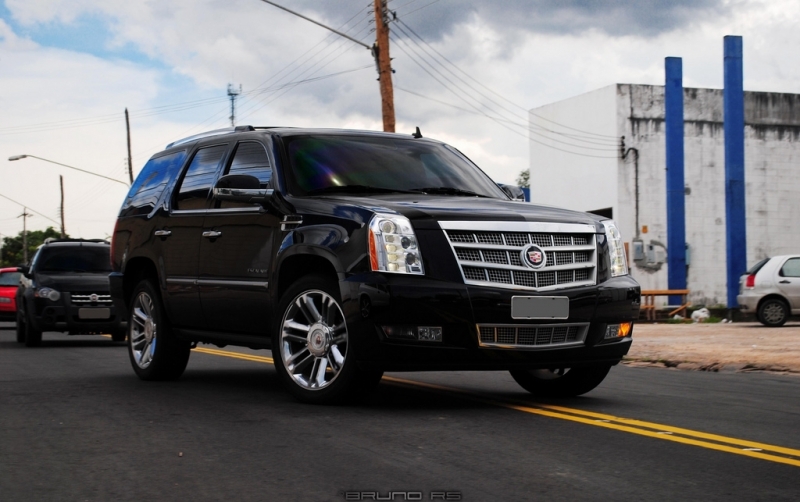 Larger SUV’s such as the Cadillac Escalade and the Chevrolet Tahoe are only maintaining a 7% share of the market, which that number has flatlined since 2009. Not even lower gas prices are helping this segment. Since the recession and the days of $3.00 a gallon, car companies have had to adapt to a new economy, one in which the consumer is very careful about spending and expenses. The crossover SUV’s have taken a bite out of the traditional SUV’s market share which could explain why we’re not seeing improving sales figures. Crossovers and small SUV’s such as the Volkswagen Tiguan, BMW X1 and X3, Mazda CX-5, Audi Q3 and Q5, Ford Escape, Volvo XC60, and Honda CR-V, are all eating away at the sales figures of their bigger siblings. Car companies aren’t just stopping there, they’re continuing to grow the crossover segment as Mazda already has a CX-3 in the works, and seeing the competitiveness of the Germans, who knows what they’ll think of next. Consumers have also adapted to the new economy that we’ve lived in for the past seven years. They’re learning that they don’t need a huge SUV to get around and that even with a smaller vehicle, they can still carry their groceries, drive their kids to school, and while doing that, saving money at the pump. Smaller SUV’s and crossovers have become the new practical. While Americans won’t admit it, they’ve become more like Europeans since the recession, as Europe has been living with high gas prices way before the economy had it’s downturn. We live in a new world. The economy may or may not have recovered, or some sectors have while others are still lagging behind. But one thing is for sure, the auto market will not change the direction it’s heading in unless there is a major swing in the markets and on Main Street. In 5-10 years, we may look back on the recession as the killer of the big SUV and sports car markets as we once knew them. Prior to the past decade and a half, Cadillac was always held in high regard as the premier luxury car brand in the United States. Fifteen years later that same luxury brand now faces stiff competition from Mercedes Benz, Audi, BMW, Lexus, and Infiniti, and is usually forgotten when it comes to facing these competitors head on. Cadillac is now suffering from it’s own brand and the marketing that went on behind the scenes that got them to this point in their history. Cadillac has always been known as the old man’s car to younger generations. It doesn’t help when Cadillacs are often seen in funeral processions either, as this easily dictates how millennials perceive the American luxury brand. From the commercials 10-15 years ago with the Rolling Stones music chiming in near the end of the ad, to even the appearance of the car itself, Cadillacs were meant for the older population, even if that’s not the intention of the car manufacturer. With baby boomers getting older, it’s time for GM’s luxury brand to start appealing to younger generations. But how do they do that after decades of targeting the affluent aging population? The new Cadillac ATS V Coupe has turned heads, making some believe that it could take on The BMW M4. But here’s the underlying issue. Whether the ATS V Coupe is faster or more luxurious than the M4 or not, younger people are more likely to go with the BMW, that’s just a fact. As a single, 21 year old, the last car I see myself being behind the wheel of is a Cadillac, unless they can prove to me that I will get noticed and get the attention I want. A BMW on the other hand already turns heads. The German engineering along with the fierce appearance makes the driver feel powerful and ready to take on the world. The Cadillac’s image is more of retiring from the workforce and signing up for AARP. That might be a crass statement, but it’s the perception, and the belief that people from my generation hold against the automaker. Sure the new ATS looks great, but would I buy it if I had the money? No. Cadillac is however moving in the right direction, you have to give them that. The newer models are a bit more refreshing than in years past, and the 0-60 acceleration times along with the engines that Cadillac uses certainly makes the car more appealing, but until the old man perception is gone, that’s all young people will think about. Lastly, Cadillac needs commercials geared more to younger generations. For instance, the Escalade commercial shows Cleopatra, a stage coach, presumably in England, and a powerful leader on an Elephant, and to brutally honest, I could see a 2000 year old Egyptian queen and a 300 year old wig wearing gentleman driving a Cadillac. That’s the real problem. With better ads directed to younger generations and creating a buzz, it will certainly help their long term perception and image.